That's just an effect, I think. If you run off the ramp (as opposed to jumping) the sound bye plays almost exactly as you hit the ground. I can't prove it but that's the only explanation that makes sense. Okay so the randomization toggle works, except for the sentry drones. With everyone reporting issue after issue about the mod, I feel like giving it some praise now. I really love your take on the Incinerator! Who needs Alien World Order when you have Alien Armaggedon? It is also great how you manage to rework Duke Nuke 64's Plasma Cannon sprites for the occasion, just like you did with the Missile Launcher. It almost makes me wish Bombshell had be given Submachine Guns rather than a Carbine! For what it's worth, I've been withholding my full thoughts until I've completely finished it, so I'm just reporting bugs as I find them. Though for me to be as active as I am in doing so means I must still be playing it a lot. Which I am. I've been playing this game (and I'm gonna call it a game instead of a mod) since the day after the not-a-patch came out. There's scarcely been a day where I haven't played this. I could have finished by now. But I keep going back to earlier points for the hell of it. This game makes me wanna savor it. So consider that an early preview of my full opinion. 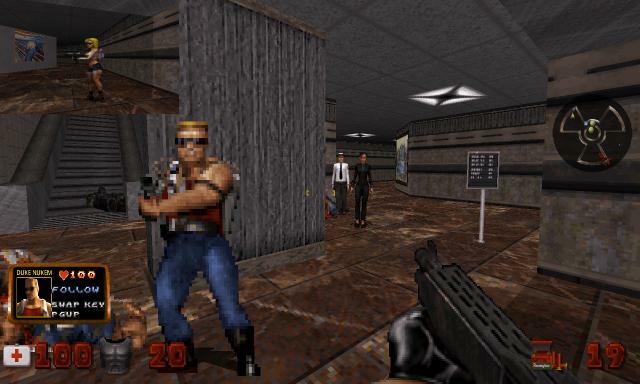 I think a Sub-machine gun would be too close to lo wang's Uzi's i do wish bombshell's carbine got bigger clips with the upgrade though, or do they? and speaking of world tour. 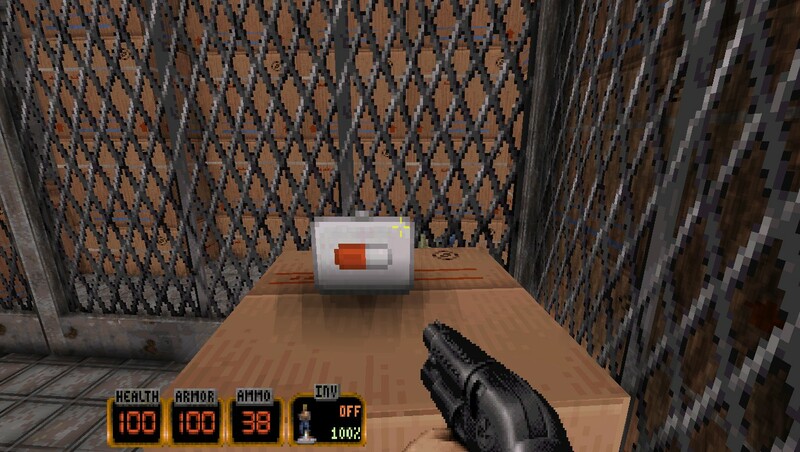 who wants to play duke when this is what the medkits look like? I think I figured it out. You said "some" of the maps...did you start a game by loading a user map instead of launching the episode in the normal way? The code which adjusts the nuke button warps is dependent upon the graphical episode selection screen when you start a game with "CLASSIC EPISODES". If you bypass that and load a user map directly, it won't work correctly. This would explain why it was broken for you, but worked for Ninety-Six and in our tests. It's normal, It's because that's how the map was designed, when you enter in some areas, Duke says something. In this case, 'Ow'. The girls are already at 1.5X of normal Duke 3D scale, which is going to be our standard scale in AA going forward. So no. I know this is a bit late ,so forgive me, but what about the 2d sprite girls? are they already upscaled as well? All the girls made by sebabdukeboss20 are at 1.5X scale, regardless of how many viewing angles they have. So I'm noticing that my inventory keeps somehow switching back to alternate weapons without my input. I'll use the pistol and put it away, then some minutes later it's the laser pistol. This isn't too much of a problem until you have a nuke and want an RPG. It doesn't seem to have anything to do with character swapping, and at least as far as I can tell, it doesn't relate to switching to alternate slot weapons either. I can go from laser pistol to shrinker just fine, but I can also go from pistol to RPG to laser pistol. So I'm noticing that my inventory keeps somehow switching back to alternate weapons without my input. That's probably because which weapon is in the top position is effected by switching up and down weapons with next/previous weapon keys. So let's say I have the nuke selected. Then I press 4 to switch to chaingun. If I press nextweapon, it's going to go to RPG, not nuke, because in the weapon order, RPG comes before nuke, even though nuke was selected most recently. What can seem buggy about this is that the transition happens in the background whenever I press the next/previous weapon keys. So let's say I had pressed 3 for shotgun directly from holding the nuke. Then I pressed nextweapon and went to chaingun. At that point, the RPG is now "on top", so even if I pressed 5 directly instead of using nextweapon to get to it, I will be holding the RPG. It works in the other direction, to. If I go past the nuke in the weapon order, and then I press previousweapon, the nuke will be in the top position, even if the RPG was most recently selected. This ensures that if I am quickly using next/previous weapon keys to swtich up and down weapons, I will always encounter all the weapons in the right order. It's not perfect but it works-- I'll just reiterate that I hate hacking in new subweapons and making them work with the next/previous weapon keys. I guess that makes sense. I try not to use nextweapon/previousweapon because it's just faster to use keybinds. Unfortunately my mouse wheel is super sensitive so it tends to scroll weapons when I don't want to. I've given up on unbinding it since it just gets rebound. Okay i noticed a slight bug sometimes when kicking aliens and they jump, they clip through the wall i've had this happen twice and one time a large pigcop ended up in the null area outside the map. I'm running the upscaled.bat. i think they have to be next to a wall for it to happen. First time i knocked a big pigcop into the outsides of the map second time i was in Hollywood holocaust and i kicked a liztrooper into the next room or something. By the way, what do you mean by "big pigcop"? Do you mean the pigcop miniboss who can stomp and has a frankengun? Looks like kicks can open/active many things now: doors, gates, secret doors and buttons. E1L2 : the place where the player will use the Blue keycard, i did a sliding kick for mistake and the demolition button has been activated from behind the wall, as it is possible with the Action key trick. Man, I think I finally hit burnout. All the Duking before this and then spending like two weeks straight on this mod alone has finally caught up with me. Unfortunately I wasn't able to complete Carribbean, but I did finish everything else so I think I'm equipped enough to write my full review. the one that wears the MRBC (Starcraft) like armor and sometimes carries a shield. Sorry I'm not sure what their ingame name is. I will fix the kicking code so that the knockback effect is restricted to actors where it makes sense -- I thought I had done so already, but evidently not. I found a little bug that is a bit annoying for me. I use the right control key for crouching (as I play the classic games with a different setup than WASD). In Alien Armageddon Right Control is bound to Fire by default as the secondary key (right column in the control options). So I deleted both keys that were assigned to fire as I didn't need them (I shoot with the mousebuttons only). Each time I start Alien Armageddon Right Control is reassigned to fire as secondary key and so I shoot my gun always when I get onto my knees*. I haven't checked other keys so far, but maybe there are some more keys that aren't stored n the cfgs correctly. EDIT: I did another test. If I assign some other key (like X or Y) to Fire, Right Control doesn't get reassigned there. So, for me the bug is fixed, but maybe there is something else that eDuke32 overwrites some Duke3D settings or fills them with defaults when they aren't set (I don't have that in other versions of eDuke32 that I use for the HDR version and so on). *) that sounds totally wrong ... but you know what I mean. Newer versions are autobinding keys. Your workaround is the fix right now. A bunch of other people are complaining about the change. Thanks for the info. I try to stay with older versions where I can, anyways. If one version works decently I keep it until a new version is reported to be stable in all aspects. What about the new Spartacus and Mira? I think you are right, they made it on purpose as effect, the funny thing is that to me happened many times the "silent landing" (idk how to call it, those times when the player land on the very edge without any sound, this also avoid any type of fall damages, even the lethal ones), then i just walked forward hearing that scream, without undestand the sense. Made a mutator that display view from your Partner. Just by curiosity. That's cool. Maybe I'll add a version of that. Needs to be toggleable, though. Most of the time you won't want to see it or have the extra rendered scene lowering your framerate.